Thanks to our good pals SHADE, we are stoked to announce Melbourne based producer Roza Terenzi will be joining our 2018 lineup! 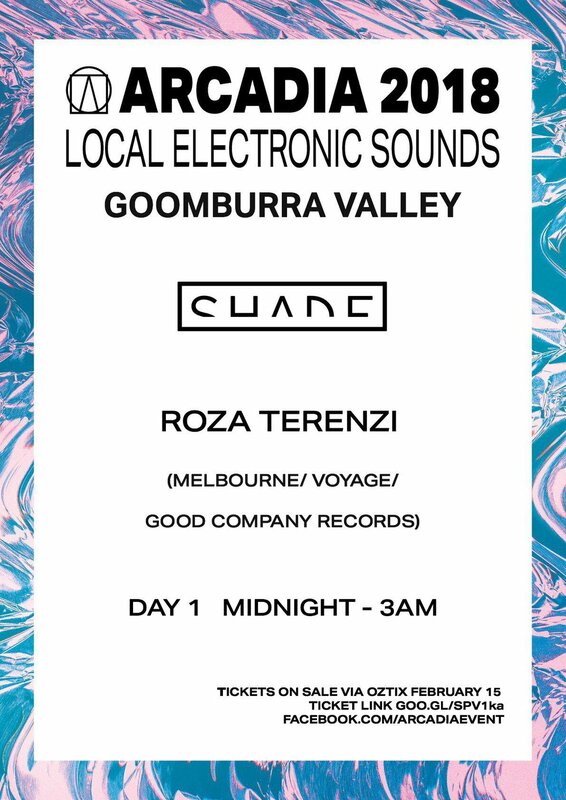 Roza will be bringing her interstellar, groove orientated beats out to Goomburra as part of the SHADE Takeover on the first night. With a slew of European and Canadian shows on the cards for 2018, you won't want to miss her set at Arcadia 2018!